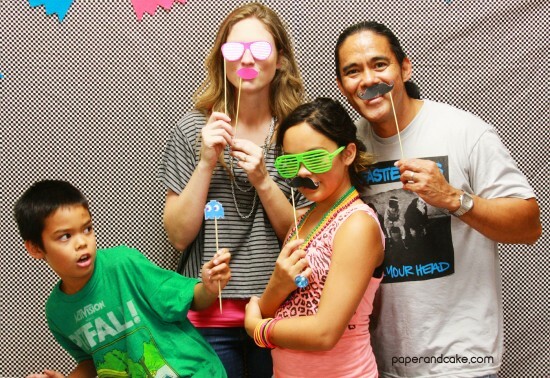 On Sunday afternoon, we attended a Fundraiser Party for our friend Casie. She was recently accepted into the Orange County High School of the Arts (woo hoo!). It is just the perfect place for her, a girl who LOVES to perform. The only drawback - the price tag for a year of attending. The solution? An all out Flashback - 80s style Fundraising party. Marcy (Casie's mom) rented out the local park facility, and together, she and I brainstormed for all things on the cheap or free or donated. 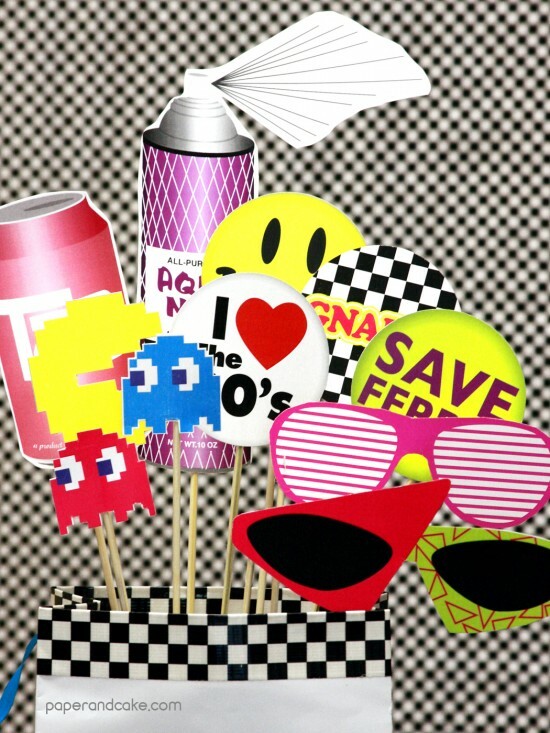 To match the theme, I designed some 80s printable photo booth props for a fun photo booth. 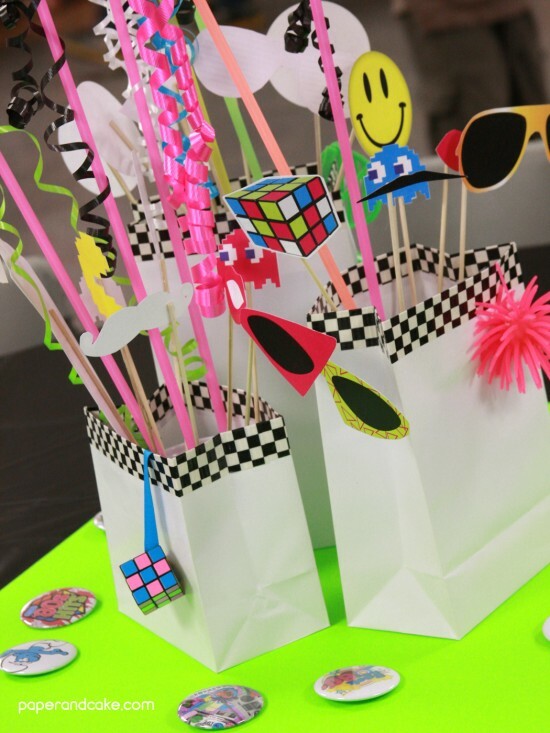 We also incorporated the props into table centerpieces, which were white paper bags trimmed with black and white checker tape. To stay on budget, she put together a dessert table with handmade yummies brought by friends, and included (what else) cake pops! 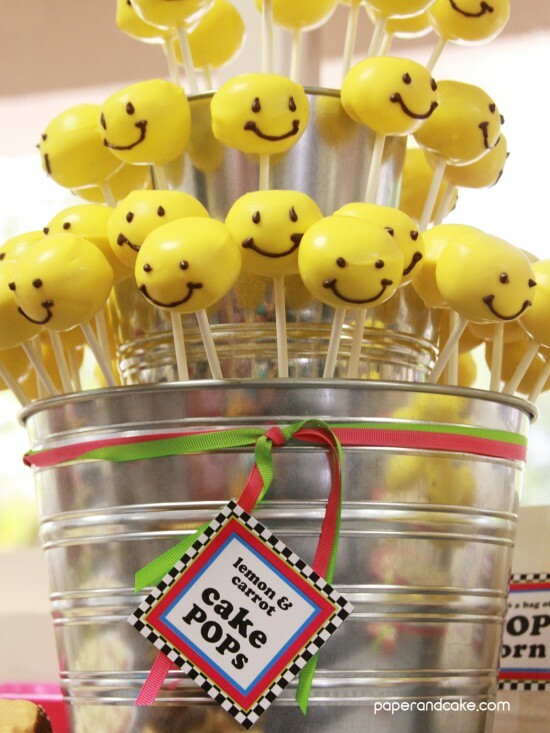 A completely ridiculous over the top display of "Have a Nice Day" pops (I totally made those!). She and her husband also put together a talent show and lots of "Minute to Win it" games for her guests to enjoy. The big ticket (pun intended) event? 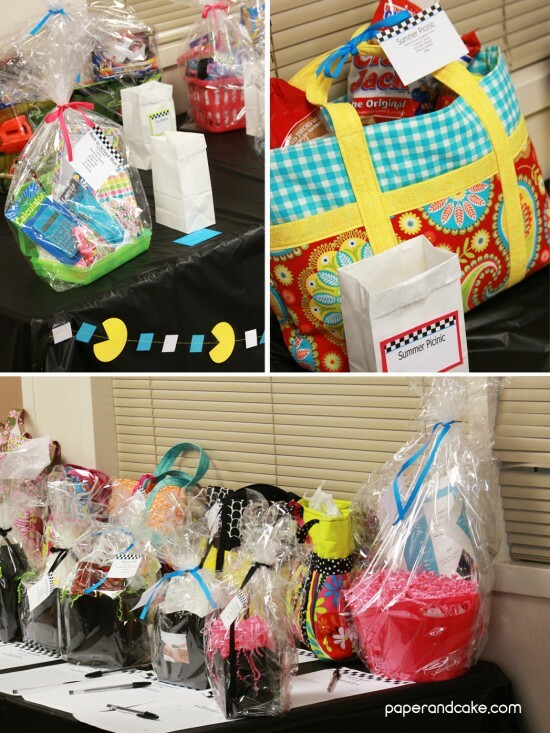 Lots of silent auction items to bid on, and raffle baskets to try and win. I have to tell you how impressed I was at the decor, the organization and the turnout! There had to be 75 people there - at least. The fact that each of my kids won a raffle basket didn't hurt our experience either - they were elated to have won! 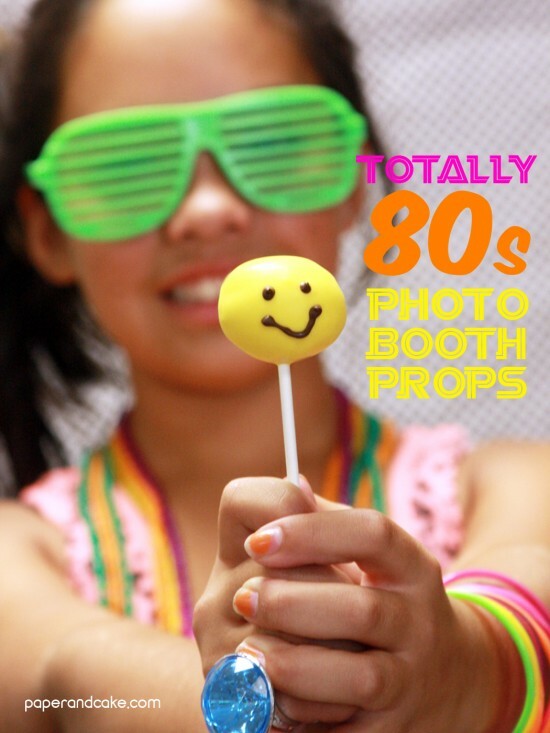 I couldn't wait to add these printable 80s photo booth props to the shop! I knew you would love them as much as I do. Plus, a personalizable mini pennant banner and signage to use on your homemade booth.